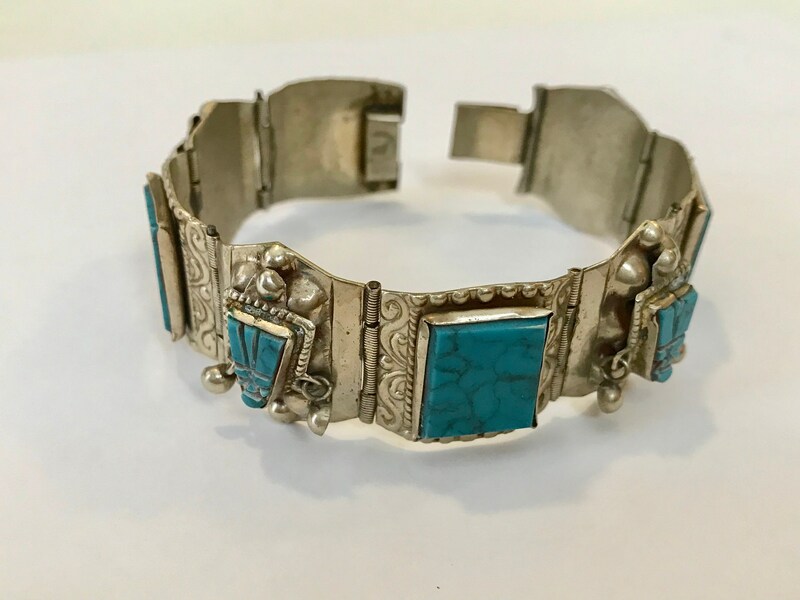 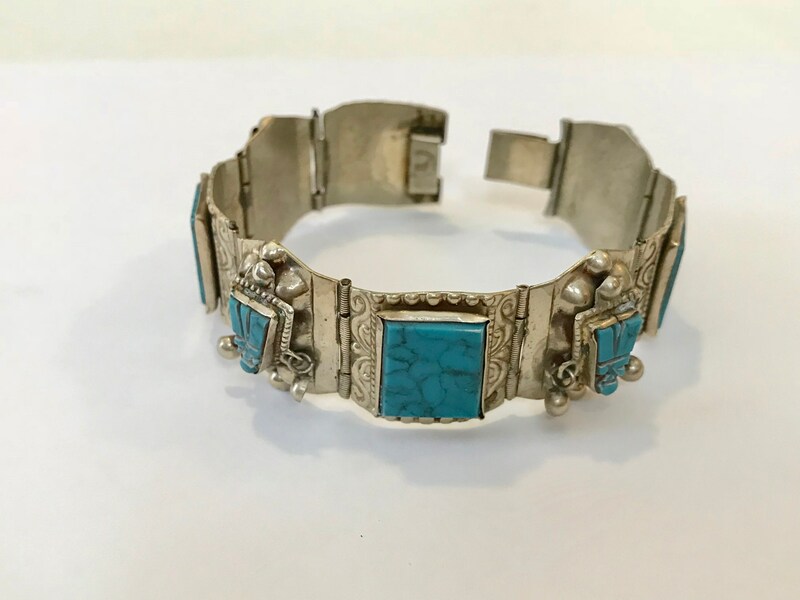 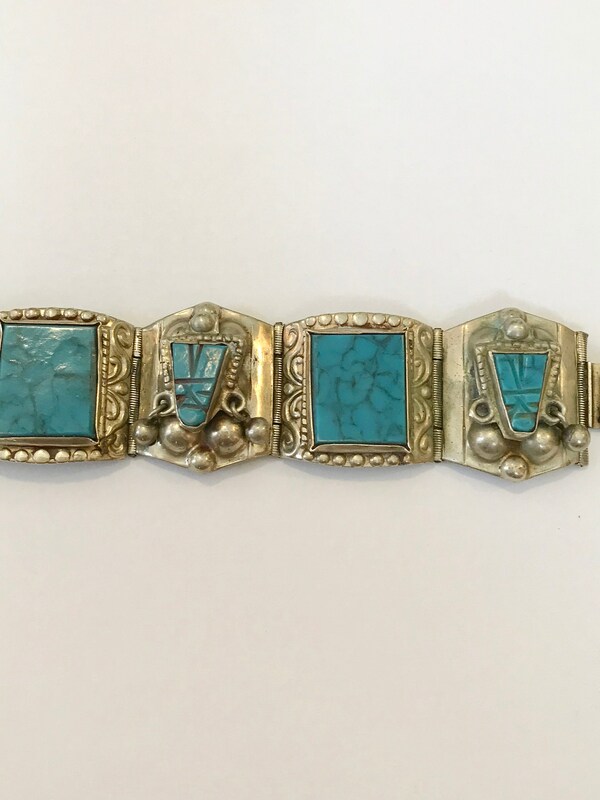 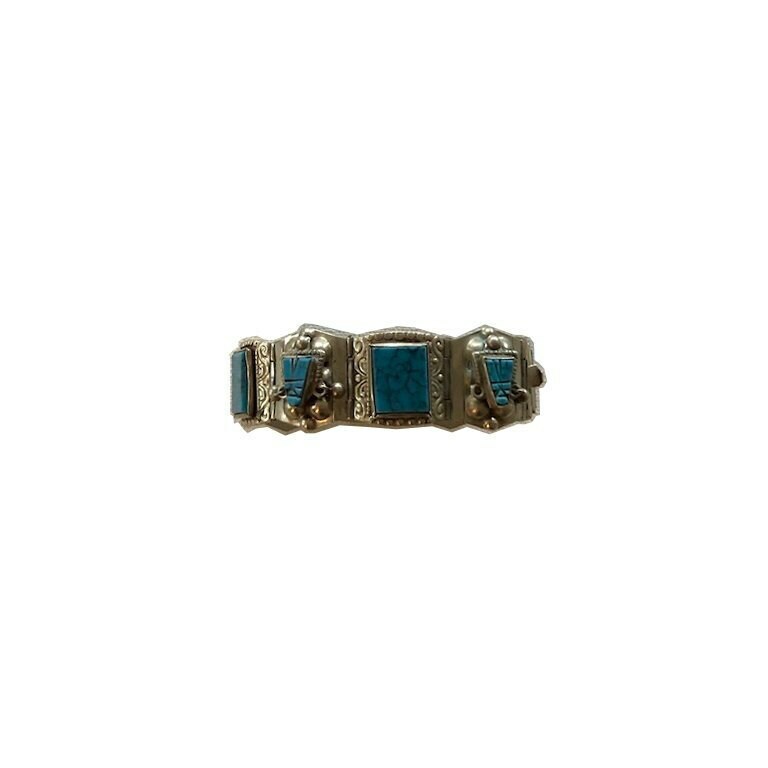 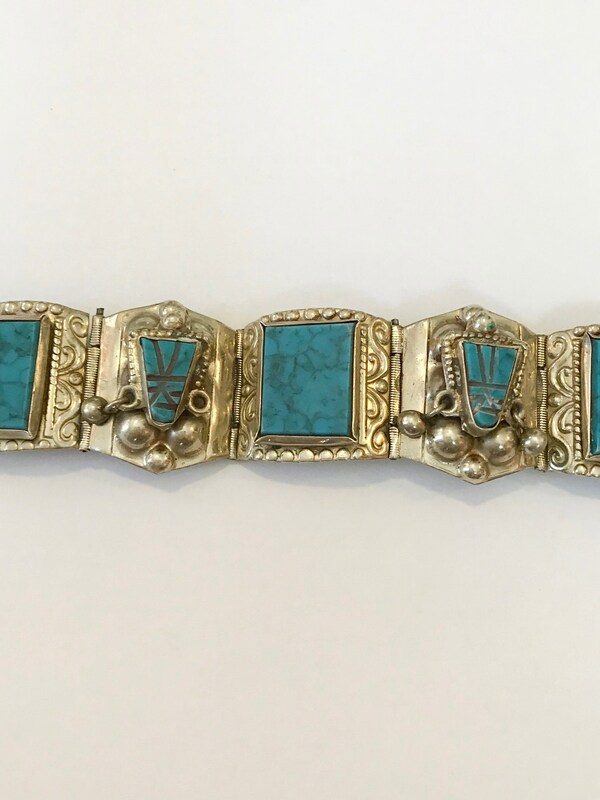 Vintage silver Mexican bracelet with Aztec design in excellent condition. 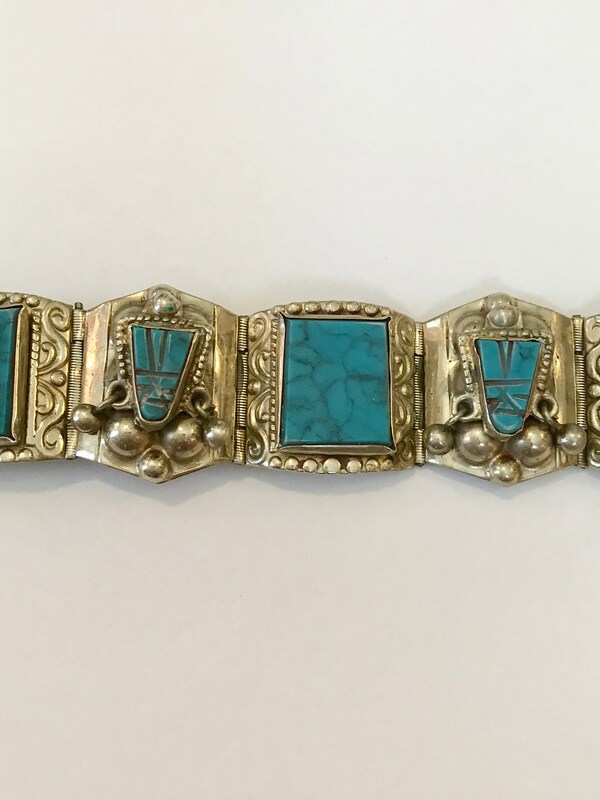 The bracelet is stamped "HECHO EN MEXICO" and an eagle. 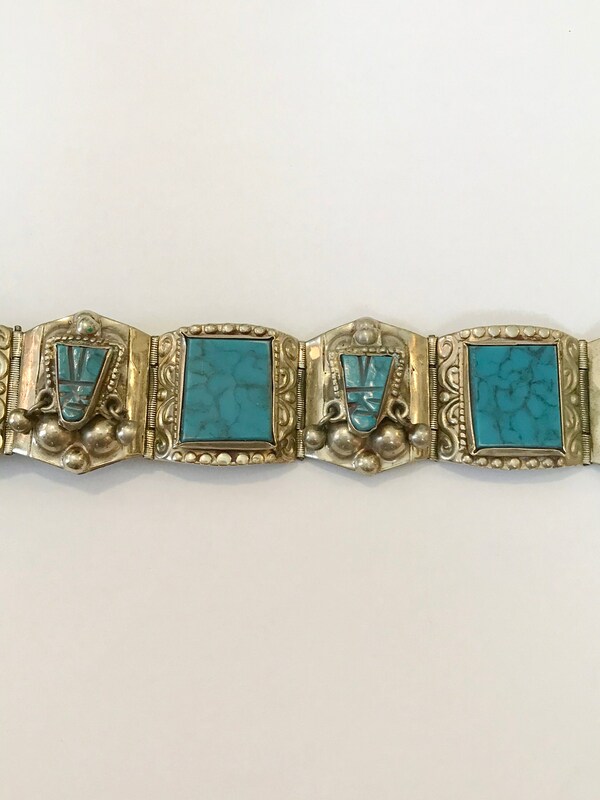 There are 2 small silver beads missing from two of the Aztec faces. 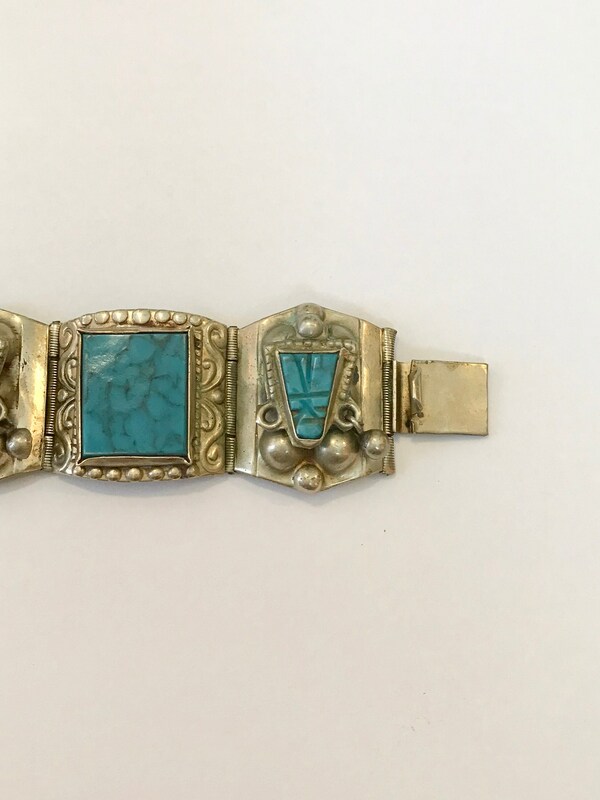 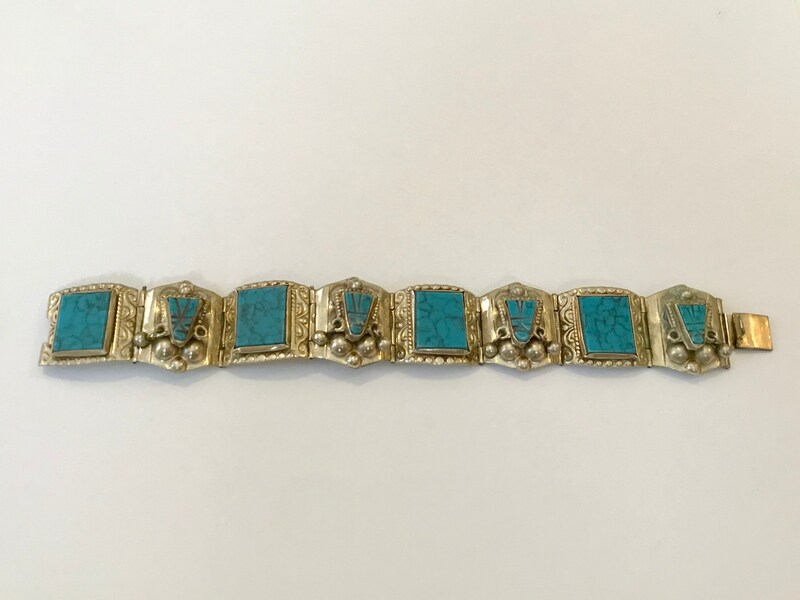 The bracelet is approximately 7.25" long when closed and 7/8" wide and weighs 42 grams.